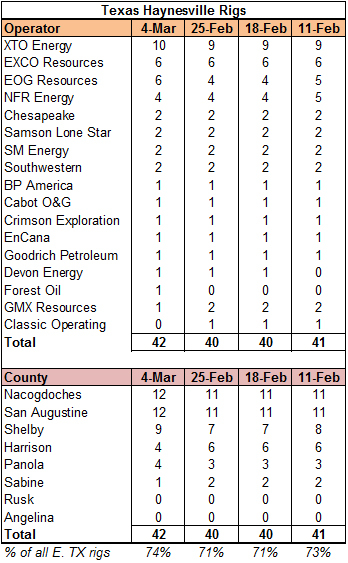 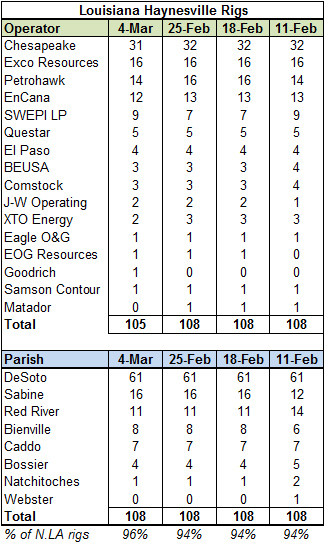 With BHI taking last week off from updating the Haynesville region, there were lots of movements in the Haynesville Shale rig count, which dropped one rig to 147. 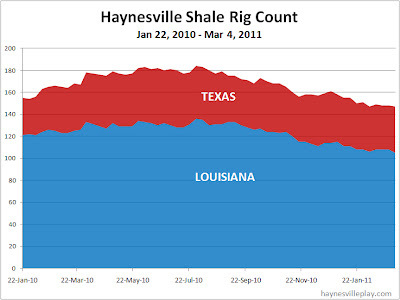 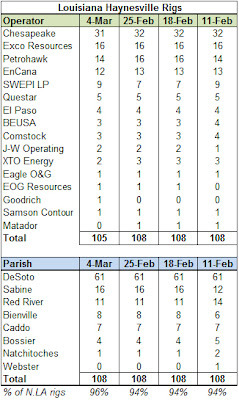 Louisiana lost three rigs to end at 105, while Texas gained two rigs to end at 42. 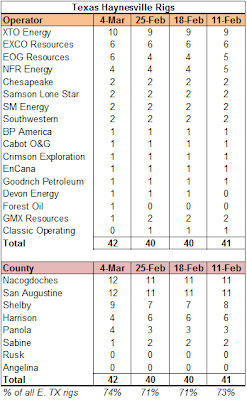 Spreadsheet and maps have been updated.